Memories of persons vary depending on the individual's state of mind and the content of the information. Researchers often consider short term memory as synonymous with working memory. This is a specialized term referring to information about the current task. For instance a specific telephone number may occupy short term memory. But it is working memory that lets the person remember that he/she is in the process of phoning someone on something. And sudden short term memory loss can be as frightening for the loved ones as it is for the victim. When sudden memory loss occurs for no apparent reason, it should be evaluated immediately by a medical professional. True, the normal aging process does affect retention of materials but this cannot be construed as a significant cause of memory loss. Read up more about short term memory loss treatment and depression and short term memory loss. An interesting or exciting event is more likely to be remembered than a mundane or normal one. Memory loss is the inability to adequately store a particular memory. It is the failure to retain or recall the information. Commonly also referred to as amnesia, memory loss can be described as a degree of forgetfulness or failure to recall past events which is above the normal level. At times, memory loss is limited to an inability to recall events that are recent, but sometimes it could also be for events from the past or both. Depending upon its cause, memory loss could be sudden or gradual, and permanent or temporary. In some cases it is limited to the inability to recall recent events, or events from the distant past or a combination of both. A transient global amnesia is rare and is a complete but temporary memory loss. In anterograde amnesia on the other hand, the individual cannot recall recent events occurring after a trauma but can recall events of distant past. Retrograde amnesia is when the individual cannot recollect events preceding or leading up to the trauma. But he/she can recall all subsequent events. Short term memory loss is a symptom of many possible causes including disease, dyslexia, depression, injury, and infection, a side effect of medication or chronic drug and alcohol abuse. Some of the main causes are alcohol abuse, Alzheimer's disease, tumor in the brain, Creutzfeldt-Jakob disease, dementia, depression, drug abuse, human immunodeficiency virus, meningitis, Parkinson's disease, Pick disease, epilepsy, stroke and West Nile virus. Some other causes of memory loss include cerebrovascular disease, trauma in the head, lewy body disease, malnutrition, medications, neurodegenerative diseases, neurosyphillis, normal pressure hydrocephalus, psychological disturbances, toxin exposure for prolonged duration, sleep disorders, thyroid disease, transient ischemic attack, vitamin deficiencies, wernicke-korsakoff syndrome, and Wilson's disease. A stroke is construed as one of the most serious reasons for short term memory loss. The National Stroke Association in the US explains that this cerebrovascular accident can impair the memory in several different ways. Such individuals may find it difficult to learn new things or recall what he/she learned since the stroke. A head trauma can sometimes result in short term memory loss and this can happen even when concussion is not sustained. Instances could be a bomb explosion or a car accident when the brain is suddenly damaged. Sedentary eating habits in this modern age often cause people to starve themselves and this causes instable levels of blood sugar. Brains of such people with low blood sugar levels can make them sleepy leading to short term memory loss. Psychiatric disorders such as Dissociative fugue, dissociative identity disorder and other types of amnesia can cause short term memory loss. Lack of oxygen in the brain can cause short term memory loss. This could be due to choking, smothering or drowning. Severe respiratory problems can also cause low blood oxygen and this can lead to oxygen deprivation in the brain. There are several types of infection that can lead to short term memory loss. The US National library of Medicine lists Lyme disease as one of the potential causes. Tertiary syphilis, tuberculosis and AIDS can also cause significant memory loss. A brain tumor, malignant or benign, fast or slow growing can be responsible for short term memory loss. Severe psychological stress can push a person beyond his/her coping abilities can cause memory loss among other mental disturbances. Research reveals that stress hormones kill or inhibit the growth of brain cells adversely affecting memory. The more prolonged the depression, the more extensive the damage. Hormonal imbalance can play havoc and lead to short term memory loss. During menopause, memory loss symptoms are often seen in women. The US Food and Drug Administration lists many types of drugs as responsible for memory loss. These could be anti depressants, anti psychotics, sleeping pills and pain medications among others. Some drugs and medications and toxins like Procyclidine, Kemadrin, Disipal, Timolol, and Blocadren can possibly cause short term memory loss. Drug interactions can also cause short term memory loss. Such interaction could occur between Imipramine and Baclofen interaction, Antipress and Baclofen interaction, Apo-Imipiramine and Baclofen interaction, Impril and Baclofen interaction and Imprin and Baclofen interaction. The good news is that ongoing research indicates dietary measures can help prevent or contain the seriousness of this problem. 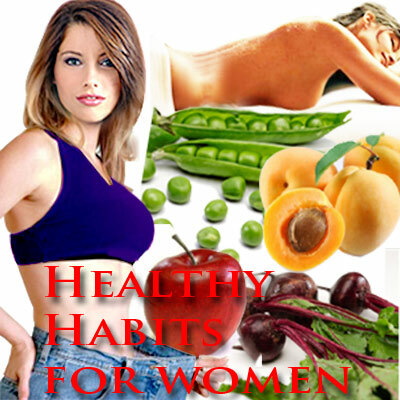 Diets that have high content of leafy vegetables, fruits, cereals, legumes and fish can be beneficial. Whereas red meat, alcohol and foods with saturated fats are harmful and can accelerate memory loss. Rehearsal, or the art of repeating the information over and over again, can help to store items in the brain indefinitely. Repetition can also increase the probability of short term memory entering permanent storage in long term memory. Repetition can help to 'hold' things in the short term memory. Short term memory system of an individual is limited to the number of items that it can hold. It is usually between 5 and 9. The more attention one pays to something in short term memory, the more likely to store it in long term memory. Cut back on drugs and alcohol consumption or quit as heavy users of these are seen to suffer from memory loss - short or long term. A journal of daily activities can help remember what was performed the day before or even the week before. One can look back and read over. It is good to sleep at a set time every night. An eight hour sleep regimen can help short term memory. If it is a word, then use it as in a sentence. For instance, while addressing a person, he/she can be called by their name during the first meeting. When things are said out loud, it adds to the chance of retaining the thought. Perhaps the most important thing is to keep one's body and mind as active as possible and ensure proper blood circulation. Sedentary lifestyle in an inactive mind can cause such horrendous damage. Memory does fade with age and an inability to remember things is suddenly noticed as one ages. Many aged persons keep asking the same questions repeatedly even during conversations, as they cannot recall having asked it already. It is important to encourage such persons to see a doctor immediately. Above all, it is essential to be patient and respectful with the sufferers of memory loss especially the aged persons. Remember, it should be much more frustrating for them than it is for us to bear this cross. Frustrations can unsettle the person and make him/her loss worse. Never make the mistake of treating the person with memory loss as a child. Treat them like an adult. Practical aids like a dry erase board on doors and telephones can help. Getting a speed dial button telephone and programming them for frequently used numbers should help. First Published Date: 15 Sep 2010 Last modified Date: April 18 2019 This page may have been updated recently as new information is available or the content may have been edited for better readability.